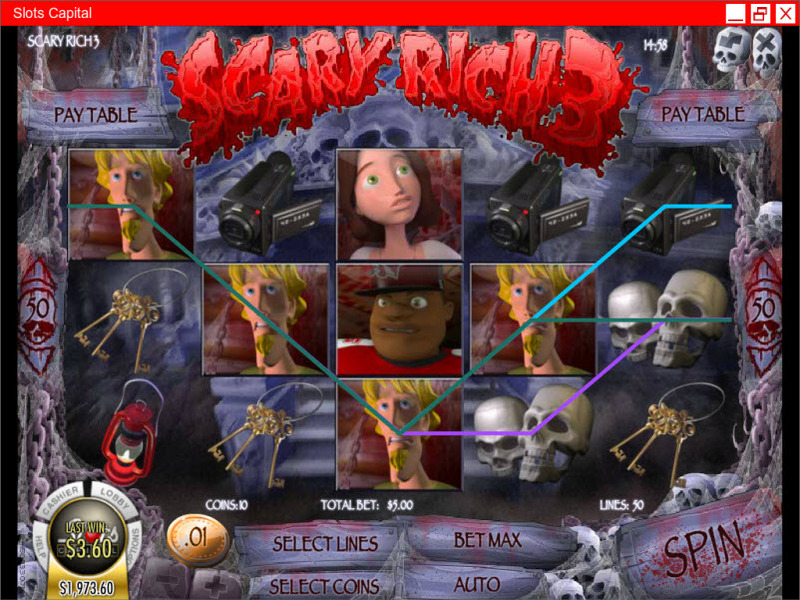 Overview: Face your fears with Scary Rich 3, Rival's latest 5 reel slot. Join three friends as they survive the night trapped in a haunted mansion. Be prepared for your stay with a Red Lantern, Video Camera, and Keys. Flee in terror from the Evil Baron, his Creature, and the Werewolf. Beware! 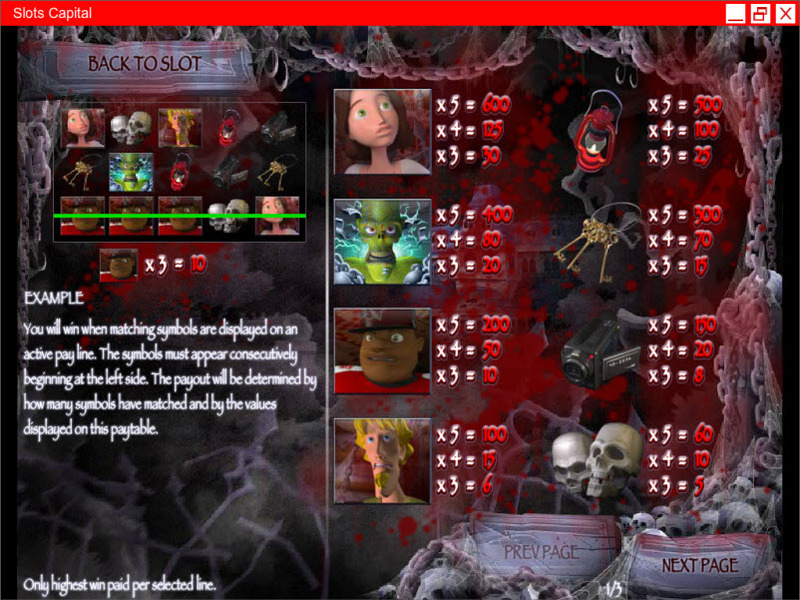 The Haunted Armour, Chattering Skulls, and the Chopping Cleaver inhabit the darkened halls. 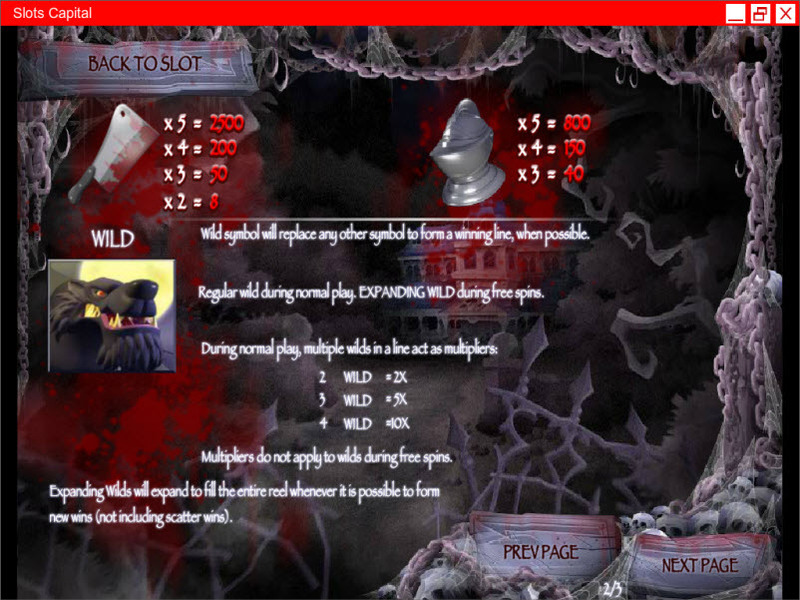 Three or more Evil Baron icons anywhere on the screen will trigger the Free Spin Thunderstorm, were you'll find expanding werewolf wilds. 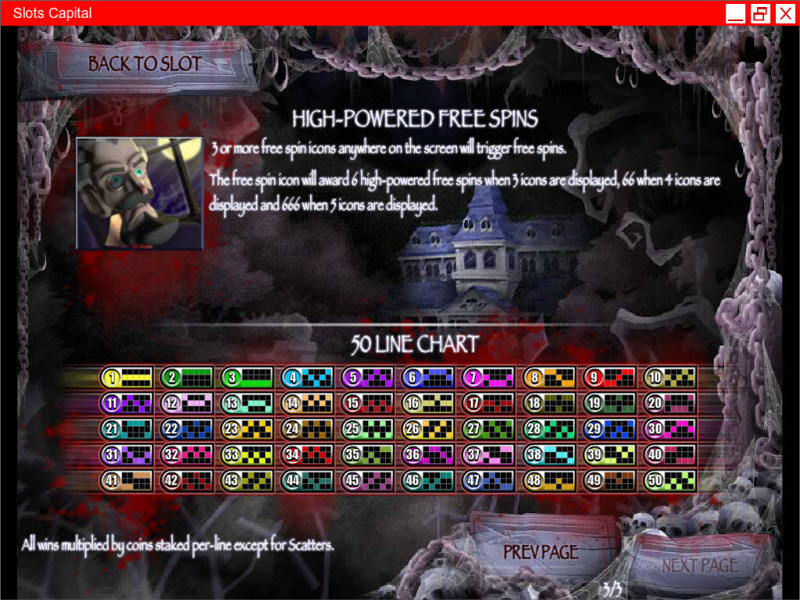 Similar Slots: If you like Scary Rich 3, you might like these other Rival video slot machines: 5 Reel Circus, Ice Picks, Roll out the Barrels, Watch the Birdie, Whale O' Winnings.